myoldmac.net - Mefferts Pyraminx aka Pyramid - Buy It ! Bid now... on this fabulous Mefferts Pyramid aka Pyramid in excellent condition (see the photos). A few stickers have liftet slightly around the edges but nothing major at all. The pyramid will provide your with hours of fun trying to figure out the correct combination. An absolute must for the collection of any serious puzzle enthusiast. 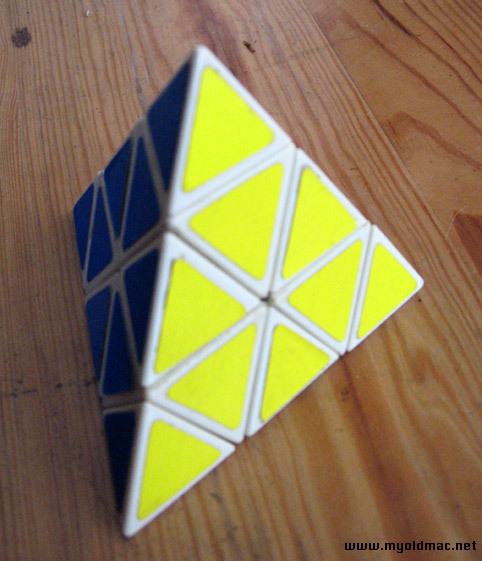 The Pyraminx was invented in the early 1970's, by Uwe Mèffert. When it was invented it was simply an interest, but worldwide success of the Rubik's Cube brought the Pyraminx into production. A pyramid shape made up of 4 equilateral triangles, each chopped into 9 rotating segments. 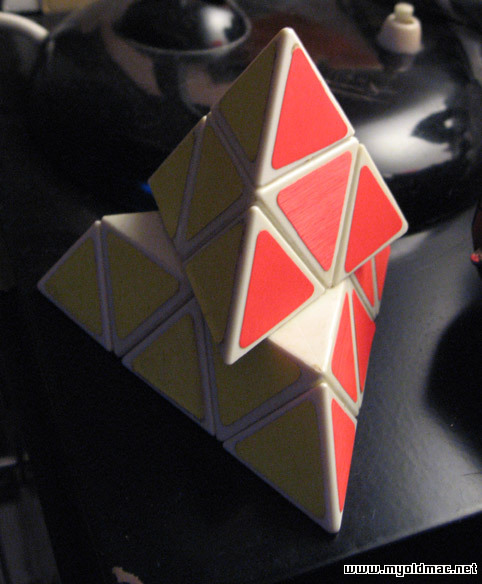 The Pyraminx can be rotated around any of its vertices by multiples of 120¢X. This makes it hard enough to be a real challenge, but easy enough to master, without help, in a few days. It has precision injection molded parts and spring-loaded bearings which make operation easy and exact. The idea of the puzzle is to scramble the colors and then return them to the initial state of four single-colored sides. 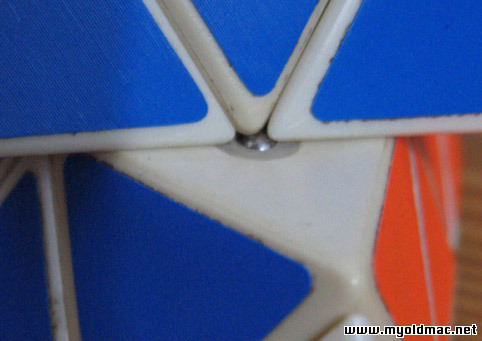 There are still only 75½ Million possible positions of the Pyraminx. It is Theoretically possible to solve the Pyraminx from any of those positions in 12 moves or less, but in actuality it should take about 20 moves once you have mastered it. Mefferts Pyraminx aka Pyramid in gutem Zustand aus den 1980er Jahren. Very good quality - In guter Qualität gebaut.